Welcome to CoreFocused, LLC. Individualized Pilates instruction, Personal and Small Group Training in the picturesque setting of Hollis, New Hampshire. 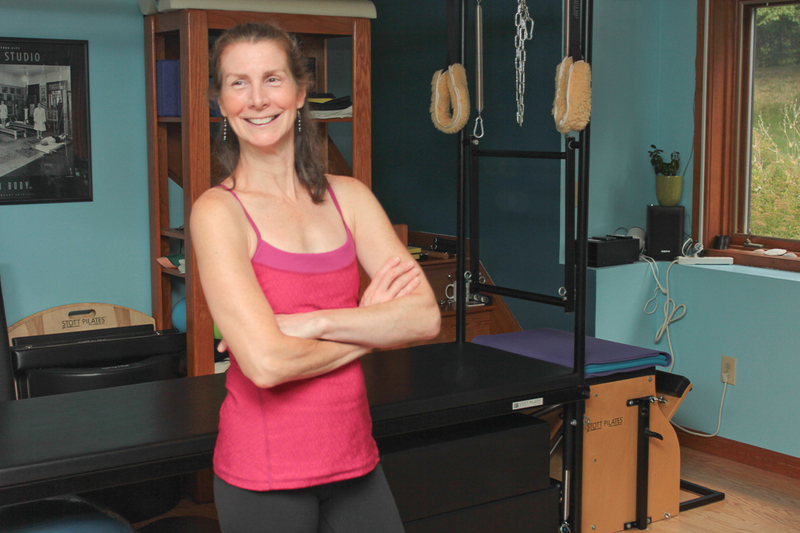 Enjoy the mind & body focus of STOTT PILATES® while reclaiming the body of your youth. A few of the many benefits of Pilates exercise method: Improve Stability and Flexibility. Learn to use local & global stabilizer muscles that provide joint stability and have feedback loops. Rebalance muscle groups, improve posture, improve ease of movement, prevent injury. Build a strong core and work from the inside to the outside to increase power & vitality. Feel Good. Look Good. Be Strong. Shine. STOTT PILATES® ™/® Trademark or Registered trademark of Merrithew Corporation, used under license. Copyright CoreFocused, LLC 2005-2019 All rights reserved.